Keynote Address presented by Professor Susan Melrose at the Participation, Research and Learning in the Performing Arts Symposium on the 6th May 2011, Centre for Creative Collaboration, London. Organised by Royal Holloway, University of London, The Higher Education Academy and PALATINE Dance, Drama and Music. Revised in March 2019. What constitutes participation-based research in the performing arts, and why are we discussing it here today? In the most reductive of terms, participation-based research is a mode of qualitative research, ethnographic in its origins and orientation and often concerned with research into community, carried out in many instances by researchers who are not normally members of that community. Its research focus is likely to be something like ‘understanding and facilitating distributed collaboration’1 and within these sorts of parameters we are also likely to find ongoing critical-methodological enquiry into the ethical implications of this sort of research focus and application. The terms ‘indigenous’ and ‘non-indigenous’, used in some accounts of ethnographic research, give some sense of some of the wider ethical implications2: traditionally, the ethnographer is likely to be ‘non-indigenous’, while the focus of her or his enquiry is indigenous: the former’s research focus might be, in one example, ‘traditional instruments’ used in East Javanese marriage ceremonies, carried out by a European or American musicologist. So far, it might seem that this kind of research has little to do even with qualitative research into the Performing Arts, although there have been exceptions: what used to be called ‘theatre anthropology’ took up precisely this sort of focus3; and over the past decade there have been a number of doctoral research undertakings in the Performing Arts that have taken certain aspects of the ‘auto-ethnographic’ tradition and terminology as their model4. 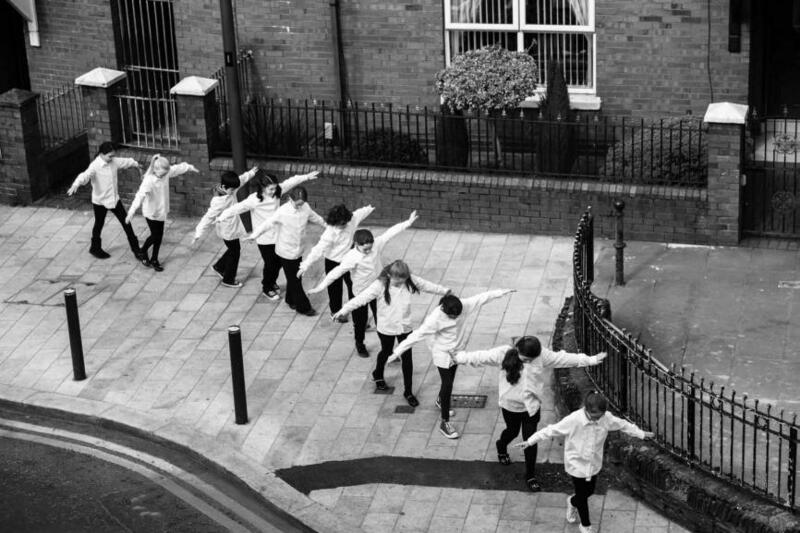 On the other hand, one example of ‘distributed collaboration’ in professional performance-making terms is provided by the UK choreographer Rosemary Lee’s 1992 ‘large scale participatory works’5, which drew on the participation of untrained (community) dancers of all ages, who worked with a small number of trained dancers and a professional choreographer to produce work staged in a public space. Might one of those community-member dancers actually have been a ‘practitioner’-participant-as-researcher? It is more likely, as far as I am concerned, that either the choreographer herself, or one of the experienced dancers, could have played the role of practitioner-researcher, participating in and helping to guide those processes, and reflecting on these after the event, sometimes drawing on practice logs and sketches to authenticate the enquiries premises and processes. In such a case, either the choreographer or a trained dancer might have chosen to formally reflect upon and rearticulate that research undertaking, drawing explicitly on a qualitative research model, its focus participation in a relatively formalised framework employing untrained community ‘dancers’. Such a participatory research undertaking might well have focused on dance-making within a community group with unevenly distributed collaborative dance-making experience. The research position would be that of skilled insider within a creative group undertaking, understanding the contribution of the untrained participants, and arguably facilitating their mastery of certain elements of a professional creative undertaking. This is not an easy research undertaking, depending as it does not just upon the uneven distribution of skills, but also on a degree of surveillance of the lesser-skilled by the more skilled. In what follows I propose to outline one incidence of what might have been expert participation (as research) in creative performance-making by professionals6 – in this case the staging of Moliere’s Tartuffe by the theatre-making collective Théâtre du Soleil (Paris), directed by Ariane Mnouchkine. Ariane Mnouchkine reflecting on some of the difficulties involved in her production of Molière’s Tartuffe at the Théâtre du Soleil, Paris. My virtual participant-researcher (malgré lui – despite himself) is an experienced performer whose skills and experience – and, arguably, attitude to and ability to work experimentally – have persuaded Mnouchkine to involve him in the collective’s staging of Tartuffe in Paris 1996. 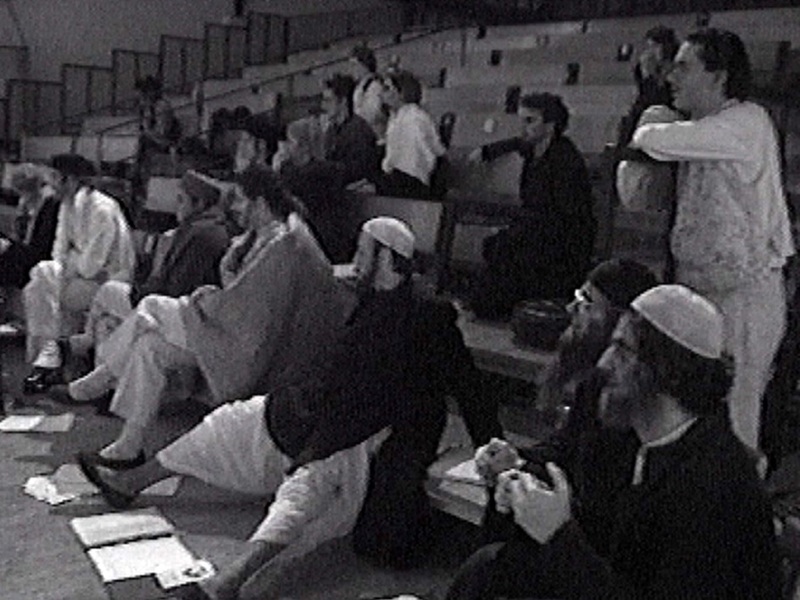 Mnouchkine’s work in theatre-making with the collective Théâtre du Soleil is notoriously challenging7 and the extended making processes are described by some involved as a ‘school of theatre’ in the director’s own name8. Some aspects only of my virtual participant-researcher’s engagement in the making processes are available to us, through the work of the film-makers Eric Darman and Catherine Vilpoux whose film, Au Soleil même la nuit, Scènes d’Accouchment (1997) – rehearsals for Ariane Mnouchkine’s Tartuffe by Molière, for the Théâtre du Soleil, Paris 1996 – is reasonably widely available. Before I play a clip from that film that shows us expert practitioners at work and at odds over progress on a public staging of Tartuffe, I need to return to the issue of participatory research, who can do it, and to what ends. My brief sketch of a possible participatory research undertaking has already hinted at a number of ‘difficult’ areas which seem to me to be revealed when we are looking at participant-based research into and through creative practice. One of these difficulties, when we are concerned in the university context with expert practitioners, lies in the issue of the research participant’s own expertise. Formal research into the positive and less-positive aspects of participant-based research has tended to focus critically on the ethical implications of such a project which in its traditional form is likely to bring together unevenly expert participants for research purposes. In other words such undertakings tend traditionally to depend upon an uneven access to knowledge, amongst participants. I propose to describe this uneven distribution of knowledge in epistemic terms – that is, in terms of ‘knowledge-practices’ – and in terms of the degree of disciplinary expertise that is brought into play9 in performance-making circumstances. As many of you are aware, there is already an established tradition of Practice as Research in the university, widely interpreted in terms of research into and through the researcher’s own participation in performing arts practices. The field is contested, largely on the basis of what I would describe as a certain anxiety, in a number of those centrally or peripherally involved, firstly as to the nature and the degree of performance-making expertise of the researchers concerned, and secondly as to the status of performing arts practices themselves as a mode of research enquiry – in those university contexts which tend to prefer the ‘challenging’ and the ‘critical’, to so-called ‘mainstream’ performing arts practices. There has equally long been a suspicion in certain areas of Performing Arts in the university of the notion of expertise itself (in part because the university cannot fund its teaching at undergraduate or postgraduate levels): this is much more the case in Theatre and Performance Studies, which has long viewed itself in the university at least as iconoclastic10, and much less the case in many areas of Dance and Music. Twentieth century theatre, at least in European and American contexts, has enjoyed a certain ‘radicalism’ that has tended to work against notions of technical and disciplinary mastery, sometimes ignoring the fact that performance-making (that ‘works’) has always depended on technical and disciplinary mastery. In the instance of Rosemary Lee’s ‘community’ dance, the choreographer and her expert assistants have worked with communities to produce ‘dance’, regardless of the different degrees of expertise of those involved. 2. Action research as a model? 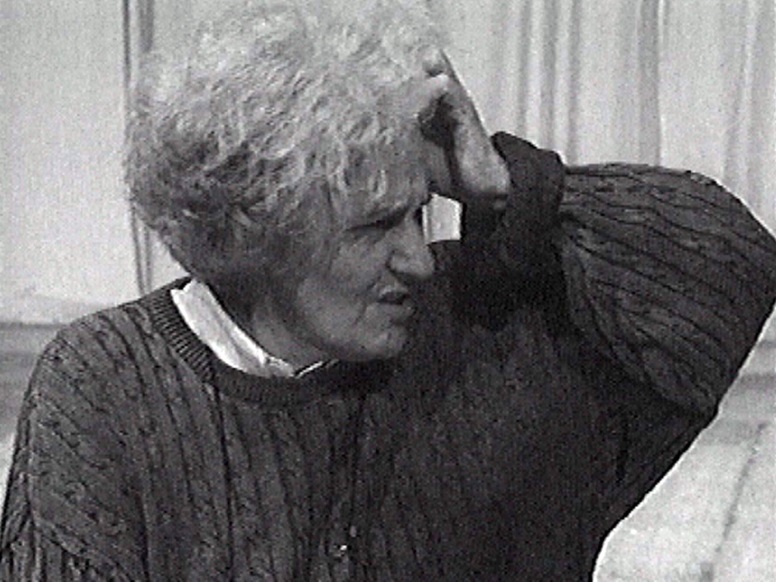 Given the overall framework today of participatory research in the Performing Arts in the university, one category of participatory research, called Action Research11, might seem to ‘fit’ with certain key aspects of Rosemary Lee’s performance making. Action Research is widely described in terms of its “self-reflective enquiry undertaken by participants in social situations in order to improve the rationality and justice of their own practices, their understanding of these practices, and the situations in which the practices are carried out” (Carr and Kemmis 1986: 162). Action research is further identified by Stringer (1999)12 in these terms: “A fundamental premise of community-based action research is that it commences with an interest in the problems of a group, a community, or an organization. Its purpose is to assist people in extending their understanding of their situation and thus resolving problems that confront them….”. In other words, this particular mode of participatory research is, in Stringer’s own terms, democratic, equitable, liberating and life enhancing. Many of us in the Performing Arts education are likely to respond warmly to this sort of affirmation of human values in a research undertaking, and the current institutional quest for what is called research ‘impact’ might find a useful target here; together these positive attitudes might seem to suggest that in theory the rudiments of action research and what might be called ‘community dance’ are admirable candidates for a participatory research undertaking, but I want to sound a note of warning: the expertise specific to both Rosemary Lee’s public art-making, and to the expert practitioners who work with her to enable certain members of a community to dance, involves a competence and a capacity for action that are not held equitably amongst that community group at work, nor is expertise likely to emerge as an outcome of the processes involved. Expertise and the ability to enact it to produce a pre-agreed public output, that will be advertised and publicised as such, are not shared democratically with the performer-community members, even if that competence and their experience is what enables the community to make a contribution to others’ life that is genuinely “liberating and life enhancing”. The dance practitioners concerned are expert, which to my mind means that they have already undergone a degree of technical training (whether formal or not), that they have experienced dance-making in those contexts which focus on a public performance with all that is specific to public performances’ event; that they have experimented in dance-making outside of conventional dance spaces, and have been involved in the production of performance work which ‘works’ either well or less well. I have used a couple of terms a few moments ago that seem to me to provide a basis, in the immediate term, for a focus on the matter of expertise, given the paucity of research enquiry into expertise in the 20thC13: these three terms are linked by the morpheme ‘exper’14: they are ‘experimentation’, ‘experience’ and ‘expertise’. ‘Expert’ comes from the Latin expertis, meaning “tested” as well as “shown to be true”. ‘Experience’, from the same Latin source, includes "testing of possibilities, participation in events, skill gained by practice”, while ‘experiment’, from the Latin experimentum, means “testing, proof and remedy”, “attempt” and “undergo”. In these sorts of terms, my question is straightforward: who is equipped to engage in participatory research in performance-making in the performing arts, when one of the central criteria for that participatory engagement is a degree of expertise (experience in and of performance-making in the wider arts communities and an ability to experiment in performance-making) in the discipline or disciplines concerned, a second relates to collaborative processes specific to the discipline or disciplines concerned, and a third criterion takes the relationship with an audience or audiences, and the nature of the latter’s engagement, into account? I am indeed suggesting that the expertise of the researcher-practitioner in performance-making differs from that of the ethnographer, the anthropologist and the social scientist more generally, in some of the areas sketched out above, and that in a few of these areas that difference is constitutive. I am interested, as well, in the perception that individual experience as we currently understand it is a ‘knowledge category’ that is difficult to generalise upon, whether the expert practitioner is a professional musician or a trained dancer, but vital to her or his undertaking, which seems to me to underline others’ observation that expert or “knowledge-centred practices” (Knorr Cetina 2000) that depend upon individual experience (and in the performing arts a taste for experimentation), are resistant to verbal definition (Schatzki et al, The Practice Turn in Contemporary Theory, 2000). This resistance seems to me to signal difficulty for conventional research and researchers in the university context. Karin Knorr Cetina in her “Objectual Practice” (200115) writes about what she calls “knowledge-centred, epistemic practices”: ‘[M]any occupations and organisations’, she argues, ‘have a significant knowledge base’ that its practitioners practise, leading to the expectation that ‘practitioners … have to keep learning’ and that ‘the specialists who develop the knowledge base’ need ‘to continually reinvent their own practices of acquiring knowledge’ – not unlike, it might seem, experimental performance-maker in the professional/expert spheres. Research practices in general, she adds, are likely to be constructive and creative, rather than routine or habitual, and as such they tend to exasperate many writing on practice from the perspectives of – for example – social theory. What then might we want to say about participatory research practices, when these are viewed from an expert performance-making perspective? I want at this point to show you a short extract from a professionally made video of Ariane Mnouchkine’s work with performers at the Théâtre du Soleil, on the production of Moliere’s Tartuffe that I mentioned earlier. This is a very rare publicly-available documentary of professional practitioners at work on a professional production. I have frequently shown it elsewhere but I want to do so again today through that lens provided by Knorr Cetina’s account of constructive or creative research as always partial, endlessly unfolding, affectively-informed, heretic and aporetic: the processes depicted, as ‘object of knowledge’16 in a research undertaking, are, in Knorr Cetina’s terms, liable to be endlessly unfolded, incomplete in themselves, relationally-determined. Before I do so I want to remind you that we are concerned here not with personality – that of ‘the director’ or ‘the performer ‘- but with expertise and expert practices in mind, as these are critically exercised in the context of making new and challenging work. You need to bear in mind the fact of performance-making, which brings together different types of expertise, different qualities and degrees of expertise, with a public outcome in mind – hence time-sensitive – and an outcome produced by a performance company that identifies itself as a collective but needs to meet the demands of a named, ‘signature’ practitioner. Secondly, I am asking you to imagine that one particular expert performer involved is also a participatory researcher into expert practice in performance-making. What we see here, if we can look beyond the apparent clash of personalities, is a clash of knowledge-centred practices, performed by expert practitioners caught up in the affectively-invested making of new work – which is always, if we reflect on these facts, a matter of invention, risk, and enquiry. We can equally infer – provided we ‘hold’ the expertise necessary to discern it – the difference at work here between felt-experience (in an actor), who insists, by the way, that how he works should be governed by his private reflection in the immediate past – and how it looks, to a professional director (who will ‘sign’ the production) and to expert audiences. We can equally see that a qualitative transformation (using Massumi’s term from his Parables for the Virtual, 200217) of expert practice is required of the performer in question, if he is to contribute to the performance that Mnouchkine is putting expertly together18 with the other members of the collective. That transformation, if and when it emerges (and the collective is under considerable pressure because the first night is fast upon them and funds exhausted) will be relationally-determined: that is, it can only emerge in the dynamic interplay between inventive, but in this case differently-experienced, singular expert performers, and it can only be realised in these terms, under the attentive and highly critical gaze of the director. These practices, in other words, to the extent that a researcher might want to try to identify them as such, are likely to be challenging, of one or another established tradition; aporetic at different moments in their emergence, because the ‘knowledge object’ at stake is in flux, partial and incomplete; and affectively-charged – because difference and experimentation are fragile when the practitioner draws on her or his self, as well as her or his expertise, to articulate these, and because the demanding gaze of the other members of the collective, and its weight as well as its encouragement, can run through the full affective spectrum. The required transformation, in the creative performing arts practitioner, absolutely cannot therefore be formulated prior to its emergence, but it will be recognised as such, and felt – like a cry of despair combined with relief. As such, then, the actor’s own work is incomplete, as research object as well as creative practice; and to the extent that it can neither be extracted from that relational set, nor known in advance of it, it is both recognisable and non-identical with itself: one actor’s invention is part only of what emerges between him and the other performers, even though that part is constitutive to the whole. The experienced performer’s work, similarly, will gain from its interplay with the other, less experienced actor. Catalysis occurs, and tends irretrievably to transform all contributory elements. It is likely, if we think of affective investment, that the experienced actor will be particularly attentive to the need to allow her fellow actor to retrieve his situation, which means that her own work, in this precise situation, will be in part different from her other professional experiences. All present are likely, given this highly complex and charged scenario, to operate under the heightened stresses that the video clip reveals, and to recognise qualitative transformation of performance material when it emerges. This complex scene, in other words, allows us to perceive what Knorr Cetina calls the ‘differentiation [between subject[ifying] and object[ifying practices]’ in the sphere of expertise, but also ‘the possibility of a nexus between differentiated entities which provides for …a form of being-in-the-world…’. That is, a ‘form of being-in-relation [that] also defines a form of … epistemic practice’ (Knorr Cetina 2001, p181). My brief sketch of a possible participatory research undertaking has already hinted at a number of ‘difficult’ areas which seem to me to be revealed when we are looking at participative research into and through creative practice. Formal research into the positive and less-positive aspects of participant based research has tended to focus critically on the ethical implications of such a project which in its traditional form is likely to bring together unevenly expert participants for research purposes, but in the case I have outlined at the Théâtre du Soleil, performer and director are roles that draw equally on expertise, even if the degree and quality of experience differ visibly within roles as well as between roles. In other words this undertaking does not depend, as did the instance of community dance I outlined earlier, upon an uneven access to knowledge amongst participants. Instead, access to knowledge is equal – equally professional – but modulated by individual expert experience, and something some might want to call ‘experience of life’. The actor’s apparent struggle in the video clip I showed you from the Théâtre du Soleil seems, if one is aware of acting as a complex system, endlessly modulated in historical terms, to be a matter of the knowledge-differences between practices emerging in isolation, from an already-thought-through knowledge, and practices that are as-yet-to-appear because they are relational and participative. The actor, already expert, learns in the doing, inter-relationally, and often expert-intuitively19. His mastery of expert practice will, in the terms of one writer on practice theory (Spinosa 2000), be acquired through elaborative practices20 learned progressively in relational practices, rather than through reflection – although reflection and deliberation will often occur later, as the expert-feedback loop ‘replays’ and reappropriates past experience. Elaborative practices, according to Spinosa’s reading of Heidegger, are articulative, rather than deconstructive (in terms of the critical-theoretical tradition of the later decades of the 20thC). In other words, rather than submit practices to critical reflection and dissection, from after their emergence and exploitation, the enhancement of expertise comes through its practices. The distinction between the articulative and the deconstructive in the development of expertise in the arts is an important one: articulative practices elaborate or develop expertise in creative contexts and set-ups, and in some senses we might argue that elaborative expert practices practise the performer, as much as vice versa. These expert practices (one might be identified crudely as ‘acting’ and/or ‘actor training’, or ‘directing’) pre-exist every identifiable instance/experience of performance-making, and on that basis they have certain implications for new aesthetic choices: in my experience many practitioners seek qualitative transformation in order to differently own or inhabit these acquired disciplinary schemata. But where do these established practices that contribute to disciplinary expertise pre-exist? Some might argue that they have been progressively internalised, by expert practitioners, and passed on through practice, but that metaphor seems to me to beg more questions than it provides answers. In practice, they are obtained through training, elaborated, subjected to individual and relational judgement, and thereafter observable through the models of intelligibility – or ways of understanding and sense-making – that collocate with those elaborative practices themselves. ‘A great audience, tonight!’ is not an unusual comment from a performer, but what it conceals is one or more models of intelligibility specific to the experience of the profession. The sense that ‘that doesn’t work!’ suggests another such model of intelligibility that is particularly complex as well as internalised and personalised. Another such ‘internalised’ and personalised model of intelligibility is often articulated, by performers at least, is expressed in terms of ‘feeling right’, suggesting that expertise tends to be practised and felt, rather than known discursively, unless and until its exponent either teaches or researches. To return to Knorr Cetina, research practices that are creative and constructive are affectively informed, hence not only felt but likely to be strongly felt, while also seeming to be challenging, tentative and partial as well as contradictory. In terms of expert knowledge, they are likely to be experienced to be incomplete in themselves, never fully realisable, hence retained as a possibility for making new work within the contingent circumstances that apply. To conclude, when something that emerges relationally in the circumstances of expert performance-making seems to ‘feel right’, what the practitioner is calling a feeling is neither, in fact, a psychological nor a subjective experience, even though it is experienced by a subject, and particularly challenging when as researchers we try to identify it as a ‘knowledge object’. Instead what the performer calls a feeling, in the first person, involves an experience, linked to a perception, on a ‘knowledge level’ – an epistemic level – that is quite specific to a particular moment in professional making processes. The expert performer lives the experience twice or three times over, on a number of planes, rich in qualitative diversity and directional activity, and to a number of quite specifically different integrative ends; and she or he will practise it again, because of its uncertainty in terms of her or his ‘own’ (felt-) knowledge. The qualitative diversity and directional activity is likely to be so rich that for some practitioners no certainty is possible without relational confirmation (that is, by other practitioners and by audiences) and without that affirmation that comes from its ‘feeling right’ (or not) – which might change over time. Some of us might want to call this capacity for creative decision-making and ownership professional judgement. Yet in my experience articulating that capacity as such tends to remain problematic to many practitioners, at the very moment of their immersion in it – whence the note of caution for those who would participate in research in/into expert practices from within them, with which I began. 1. MacColl, R. Cooper, M. Rittenbruch, S. Viller “Watching ourselves watching: ethical issues in ethnographic action research”, 2005. https://dl.acm.org/citation.cfm?id=1108447, consulted June 2011. 2. Some of you will be aware of Edward Said’s Orientalism (1978, London: Routledge & Kegan Paul) and of some of the implications for research undertakings calculated on the basis of a ‘First world’ gaze turned on and objectifying a ‘Third world’ subject of interest. 3. 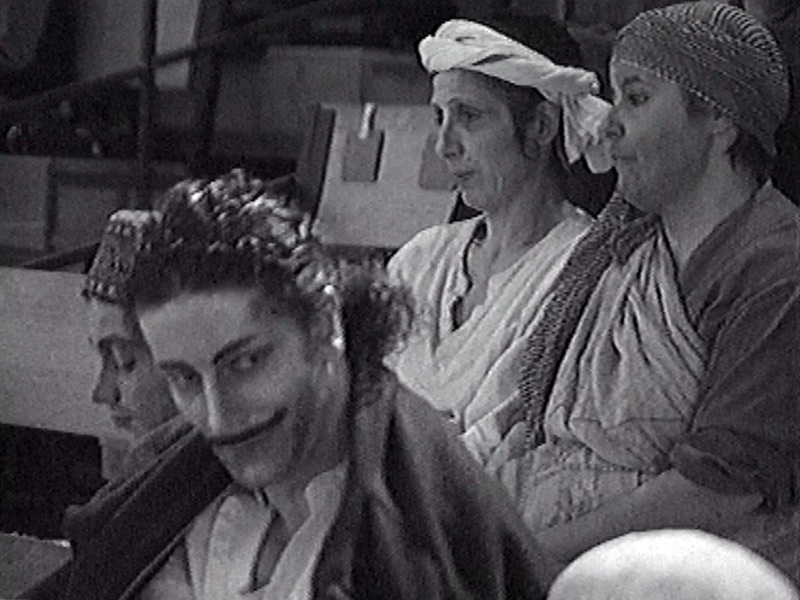 Indicatively, Eugenio Barba and Nicola Savarese, A Dictionary of Theatre Anthropology: The Secret Art of the Perfomer, Routledge 1991 and Victor Turner, From Ritual to Theatre: The Human Seriousness of Play, PAJ Books, 1982. 4. I have described this largely notional borrowing as an ‘ethnographic turn’. 6. Professional performance-making is not widely available to researchers, which means that participatory research by a professional should be promising; however, researchers may adopt a critical perspective, which does not augur well for ongoing participation – see for example P. Allain, Gardzienice: Polish Theatre in Transition (1997) Harwood Academic Publishers. 7. Théâtre du Soleil was a collective established on the outer reaches of Paris in the late 1960s, widely admired at the time for their 1789; initially Ariane Mnouchkine avoided the title of director although her impact on the collective’s work was progressively acknowledged. 8. This comment, made by a member of the collective, is recorded in Au Soleil même la nuit, Scènes d’Accouchment (1997), by Eric Darman and Catherine Vilpoux. 10. In what I call ‘knowledge-political’ terms, to the extent that they exploit dramatic writing, 20thC theatre and performance studies have sought to distinguish themselves from literary studies. 11. Smith, M. K. (1996; 2001, 2007) ‘Action research’, the encyclopedia of informal education. [http://infed.org/mobi/action-research/. Retrieved:2 April 20011]. 14. Expert in etymological terms, comes from Middle English, borrowed from Anglo-French, borrowed from Latin expertus "tested, shown to be true," from past participle of experīrī "to put to the test, attempt, have experience of, undergo". Experience, in the same terms, is from Middle English, borrowed from Anglo-French, borrowed from Latin experientia "testing of possibilities, participation in events, skill gained by practice," noun derivative of experient-, experiens, present participle of experīrī "to put to the test, attempt, have experience of, undergo," from ex- ex- entry 1 + -perīrī, from a presumed verbal base *per- "test, risk," perhaps going back to Indo-European *pr̥h3-i-. Experimentation, from Middle English, "testing, proof, remedy," borrowed from Anglo-French esperiment, borrowed from Latin experīmentum "testing, experience, proof," from experīrī "to put to the test, attempt, have experience of, undergo". 15. K.Knorr Cetina, “Objectual Practice”, in Schatzki, T., Knorr Cetina K. and Savigny E.V. (eds), 2001, The Practice Turn in Contemporary Theory, London & NY: Routledge. 16. The notion that processes might be a ‘knowledge object’ simply requires us to review the noun ‘object’, releasing it from the everyday notion that an object need be discrete, hard-edged, identifiable by a simple noun or name. In research, she implies, a process itself – fluid, disparate, incomplete – eg rehearsal processes, or one artificially extracted element within these – might well be the object of our research. The struggle, then, is to find the means to name ‘it’ while keeping clear the fact that it is incomplete, affectively-charged, endlessly unfoldable. 17. Duke University Press, Durham and London, 2002. 18. The irony here, for those of a conventional mindset is that as director Mnouchkine cannot tell the performer what to do. He has, as a member of the collective, to invent what is needed in a tight relationship with the other more experienced performer’s own invention. He, then, owns the work, owns the invention, despite the fact that it is also in part an engagement with the other performer’s invention, and that it is equally signed and owned by Mnouchkine herself. On this basis, we can clearly see the value of Knorr Cetina’s account of the ‘relational object’ of research. 19. I have written at length about expert-intuitive processes. See for example S.F.Melrose, “Expert-intuitive and deliberative processes”, in J. Butterworth & L. Wildschut, eds., 2017 Contemporary Choreography: A Critical Reader, 2nd edition, London & NY: Routledge. 20. Charles Spinosa’s essay “Dispersion and articulation” (2001) focuses on what he calls ‘a general tendency of practices’ (p.206); he writes ‘the typical way human intelligibility works is exemplified by the craftsperson’s way of making things intelligible’, not by the way the critical theorist seeks to dissect practices.